Fascinating. 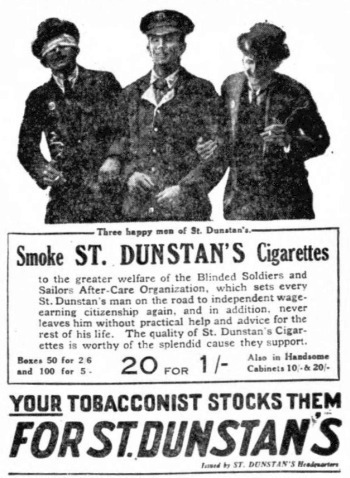 St Dunstan’s cigarettes: Help the blind by wrecking your lungs. I wonder what future generations will smile at in us. It cost rough sleepers £40 a night to stay in the homeless hostel in Oxford. We send millions abroad in foreign aid, in some instances to wealthy countries. The building of social housing has stopped. Instead we have the scam of ‘affordable housing’. As a civilised coutry we should be dealing with our homeless first. Janet – as others have said before, it is not “either or” in relation to alleviating need at home. we can, and should, do both. Also, others may correct me if I am wrong, but I dont think that individuals have to pay £40 per night for hostels – that may be the cost of providing the accommodation, but homeless people are encouraged to claim benefits and those would include an element to cover housing costs. However none of that takes away from the scandal of how many people are homeless – on that I agree with you and Layla. To be honest the welfare state has lost st the plot somewhat, £200 winter fuel allowance paid to ex pats living in Spain? A legal aid system that costs tax payers thousands fighting extradition of convicted terrorists, rapists and other undesirables, over 30% of council tax used for employee pensions, once trained NHS nurses and doctors being re-“hired” via agencies costing our NHS thousands more, civil servents (and I use the term lightly) retiring at 55 with a fat pension only to be re hired the following day with the same pay! It just goes on and on, talk about snouts in the trough! I would defend legal aid and think that Chris Grayling, who cut it back and who (even though he is now the Secretary of State for Transport) couldn’t organize a traffic jam), should hang his head in shame. Of course, some people who receive legal aid are found Guilty; but many more have to defend themselves without a lawyer to represent them and put their case for them. I hope I never have to appear in court as a defendant or plaintiff. I wouldn’t know where to start, and I would want someone trained in the law to represent me and for that I would need financial support (Legal Aid). I do not expect to undertake my own medical treatment; I go to the doctor. Why should it be different when my liberty is threatened? Slightly missing my point PPJS, I was referring to the “ambulance chasing” legal brigade who rip the hell out of the system while trying to defend the indefendable, similarly today it’s been announced unscrupulous suppliers, agencies, and darn right crooks have ripped the NHS off to the (so far discovered) tube of £5.5 billion! While on about money in/from the public pot I see OCC have just submitted a request to government for £200 million to fund expansion and necessary projects? Among their list of priorities are a river bridge serving Didcot, road improvements including extra lanes at the A34 Didcot junction ( thought they just spent millions installing a hamburger roundabout there?) there’s Didcot this and Dicot that but no mention of the promised diamond interchange at Lodge Hill ? I think you’ll find they already have the funding for the Lodge Hill slips and are doing the preparatory work. PS I thought the original post was fascinating – al sorts of thought-provoking nuggets of information. Isn’t there some other forum for people to discuss / argue about topics that are not related to the original post? This is happening more and more. Surely I’m not the only reader who finds it very irritating? Totally agree with Fiona. And it’s the same old people with the same old comments. Heard it all before. And the so called humour/sarcasm isn’t funny any more. Please tell me the Abingdon All Weather Hat is still available? Must get one for the wife who cycles to work and refuses to wear lycra. 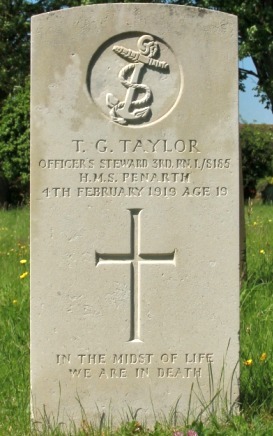 @Horsesmouth I agree that there are abuses of the system which – like you – I deplore. However, it is hardly fair to attack a system because it is abused. That’s like criticising a knife because someone has been stabbed. You suggested that the legal aid system was being used to fight “the extradition of convicted terrorists, rapists and other undesirables”. Legal aid is very highly regulated and unless we believe everything we read in the papers without knowing the circumstances of individual cases we are in danger of denying to others what we would want for ourselves. We know to our own cost in this country that men have been wrongfully convicted of terrorism and have served long prison sentences. When they protested their innocence the tabloid press had a field day vilifying them. Public anger and outrage are easy to arouse and in such an atmosphere justice is easily perverted. It doesn’t improve the quality of our civic life to be abusive to those with whom we disagree. 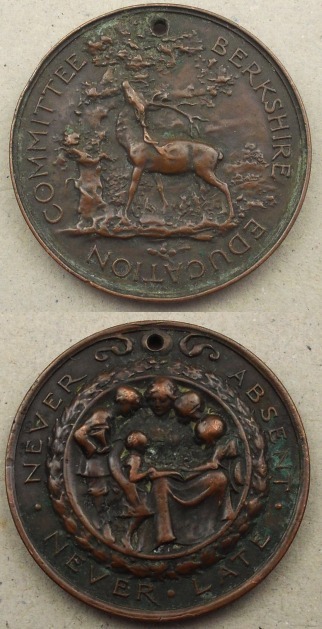 Thank you for this item – and the previous one relating to Abingdon in January 1919. I’ve been sharing the contents with residents at Old Station House care home. They find the ‘old’ news very interesting.